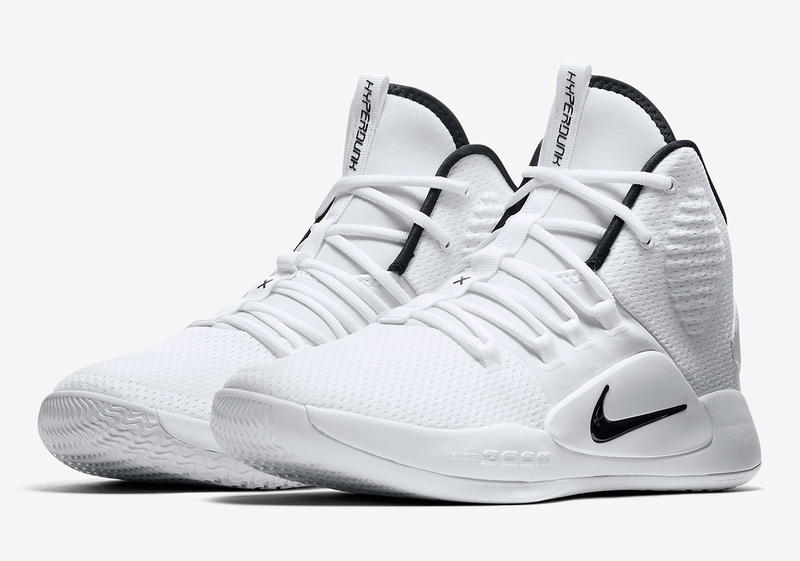 After being revealed in a commemorative black/pink Kay Yow edition last week, Nike’s Hyperdunk X has surfaced in a new colorway: an extra-clean white and black. 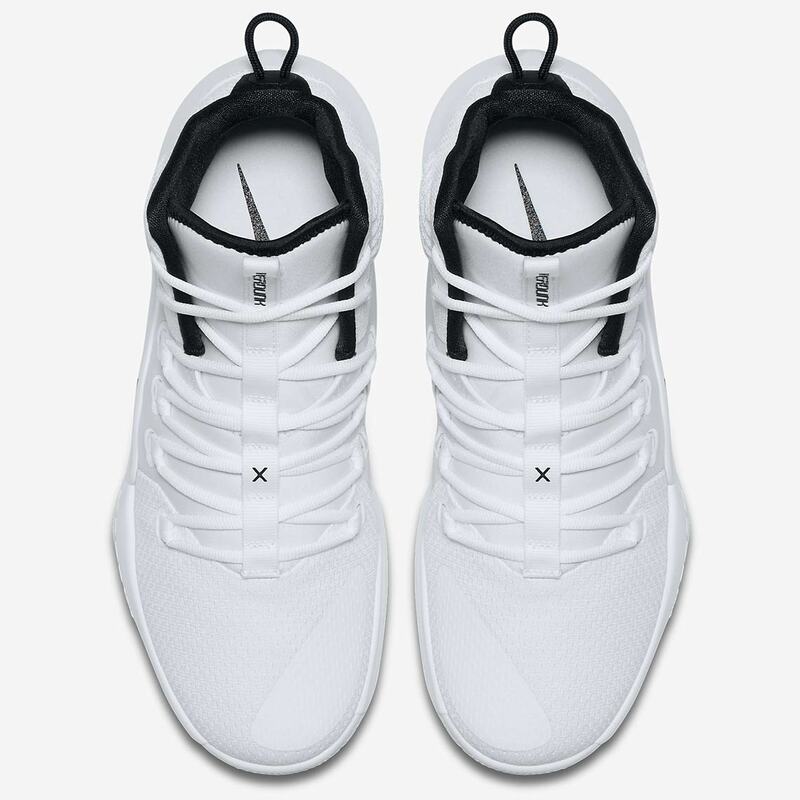 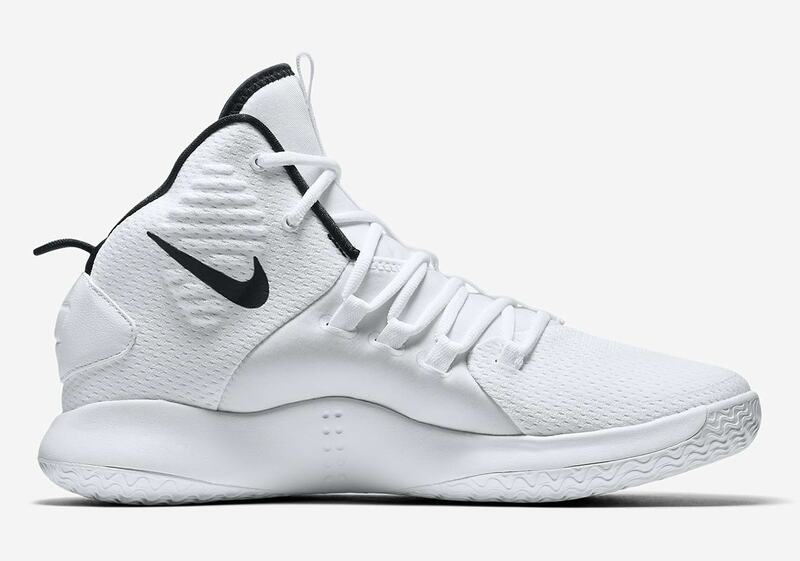 The shoe features a stark white mesh upper, a looped lacing system that drops down low on the midfoot for superior lockdown and a high collar/low heel for extra ankle support without restriction of movement. 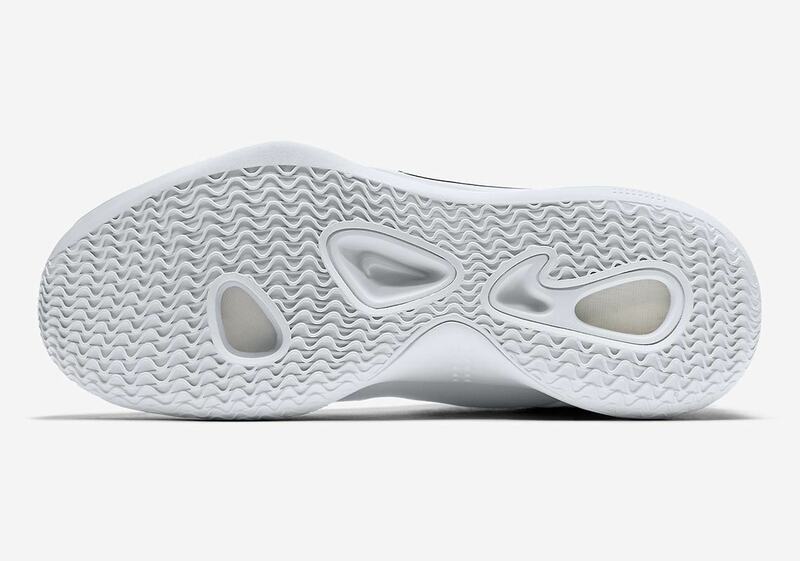 Branding arrives via black swooshes on the midfoot stabilizer and lateral collar, the black “Hyperdunk” hit on the tongue’s pull tab, and a small black X on the midfoot, nodding to ten years of the Hyperdunk. 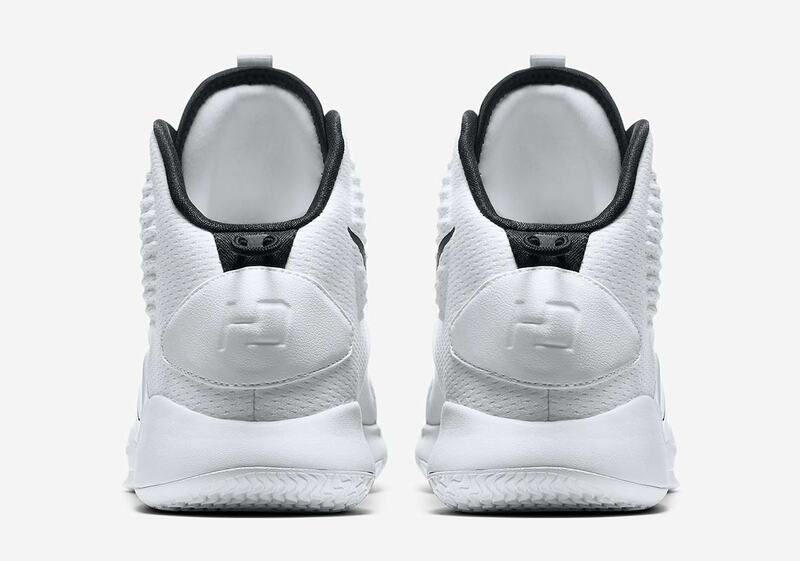 Further accents arrive via black detailing on the sockliner and tongue’s edges, and the shoe is completed with a debossed “HD” leather patch on the heel and a white midsole/outsole with visible Zoom Air cushioning. 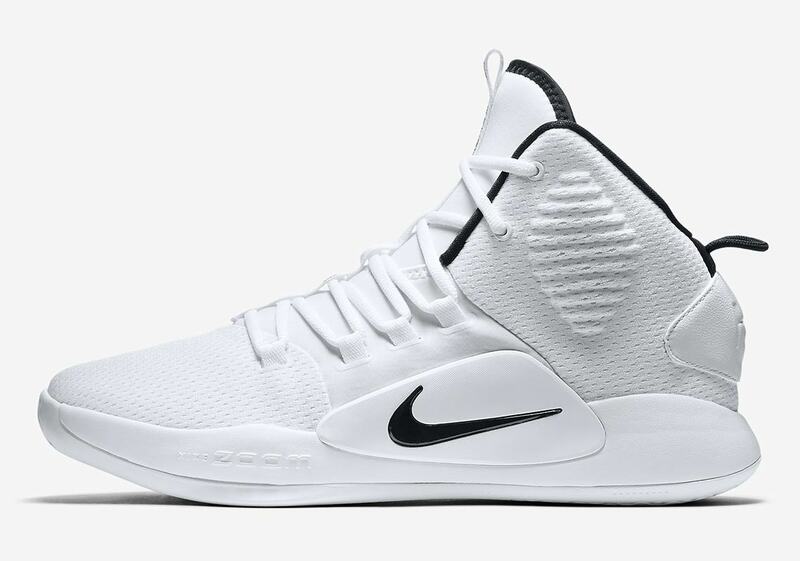 Look for this new generation of Hyperdunk to arrive on Nike.com this August with a retail price of $130 USD.